Whether it is a job application, bank loan application, insurance application, or visa application, it is a norm for concerned authorities to seek verification from the applicant. 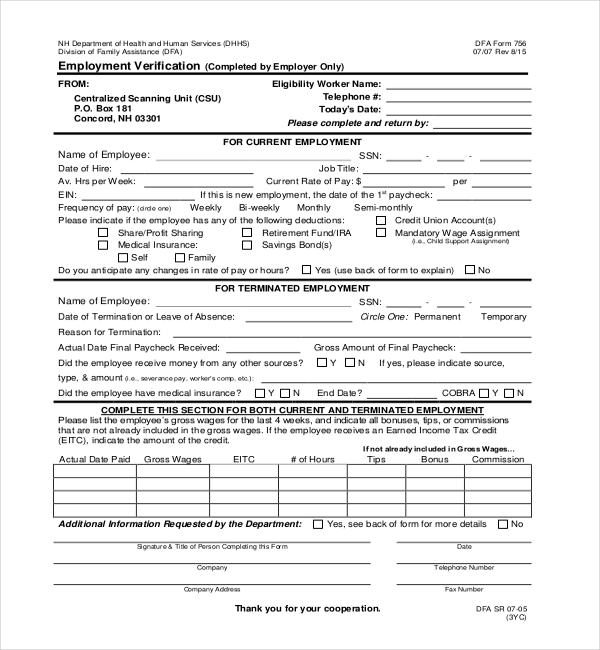 The form would contain a long list of different fields which together provide details of an individual employment and other personal information. 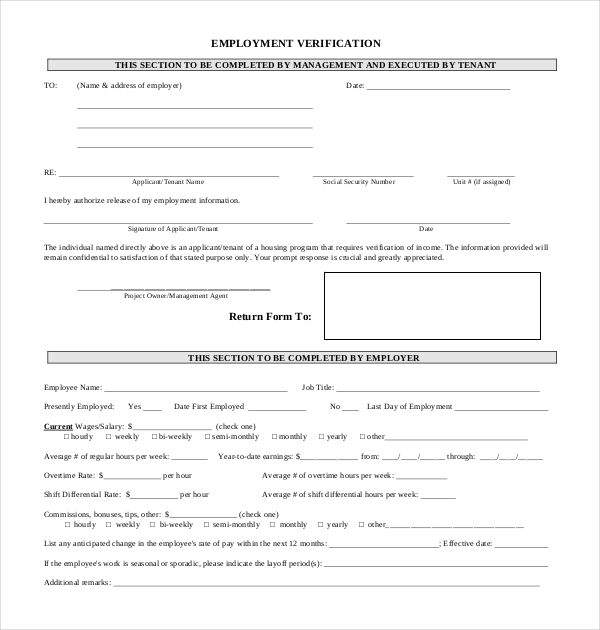 If you’re not sure about what an employment verification form looks likes, it is advised that you pick up a generic employment verification sample, and use that as your form. Fill in the relevant details which are required from you, and have the rest filled in by your employee – including remarks and signature. 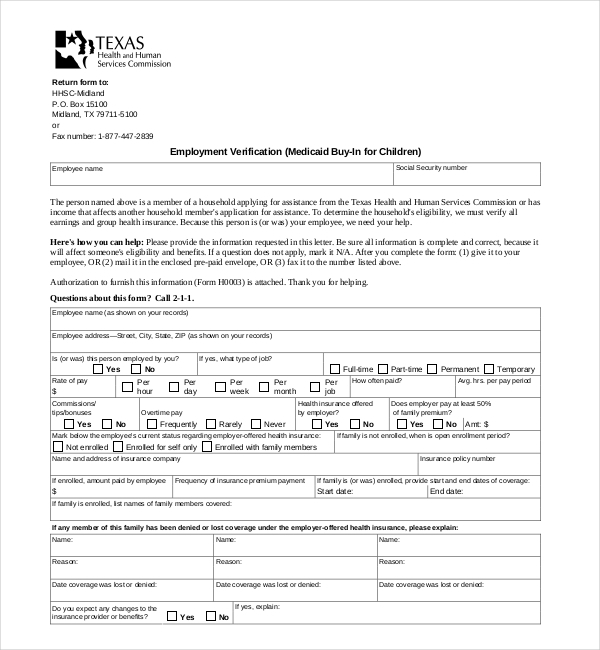 This form filled by the parent applicant and his employee. Here’s a sample which you could use to give to parents or their employer. The sample is equipped with all the necessitated fields and items which must be filled compulsorily. 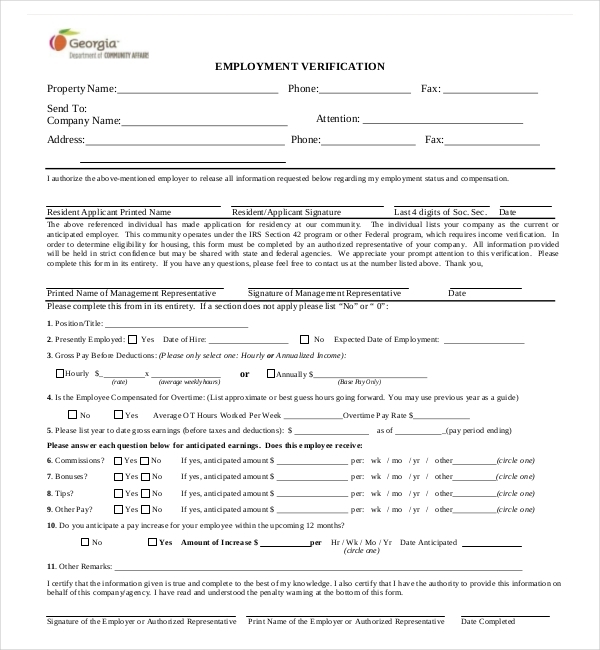 If you’ve worked in the state of Georgia and are seeking new employment in the same or new state, your new employer may ask you to submit an employment verification form as proof of your previous employment. 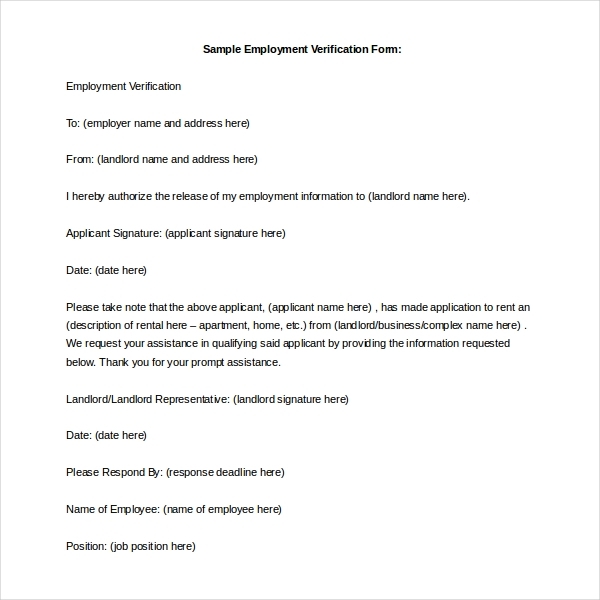 In this case, you must use a Georgia employment verification form sample and have the details furnished by your previous employer, outlining all details. 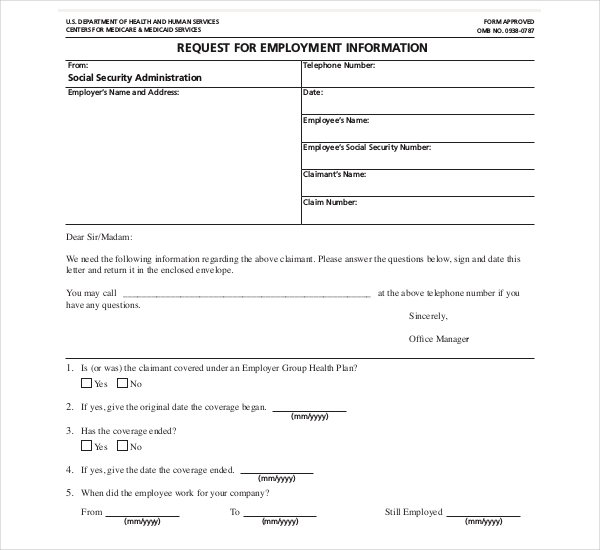 If an employee is seeking assistance from the Health and Human Services Commission, they will request the employer to fill up an employment verification form to ensure that the employee’s assistance request is credible. 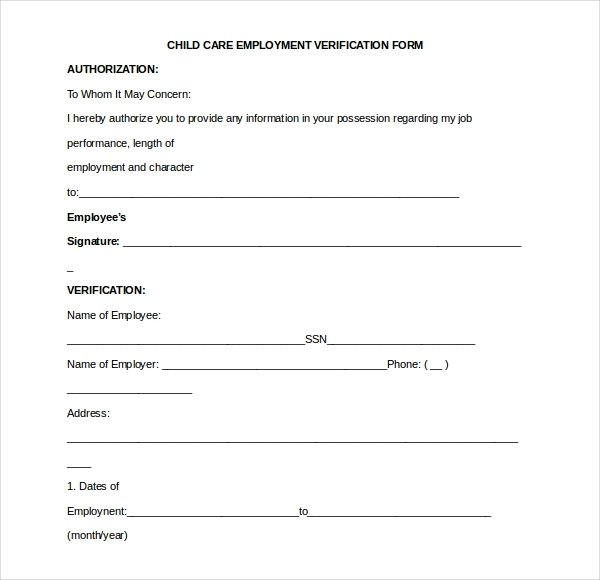 If you’re running a health care facility which has provisions for specialized services, then you will need an employment verification form sample to use as your own. This sample over here has all the items and fields already set. 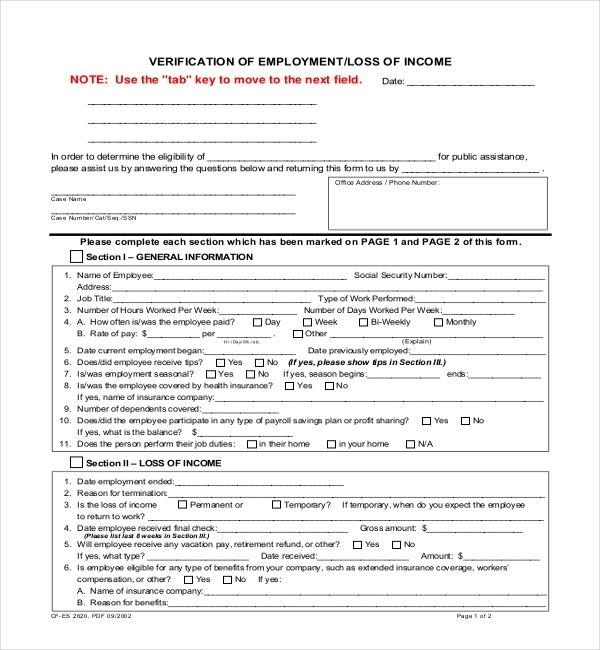 A Medicare employment verification form is useful for health outlets to verify the employment details of patients applying for specialized health care coverage. If you run a facility which has provisions or tie-ups to provide similar services, then make use of a Medical employment verification form. The form is elaborately designed and divided into different sections – Section A is to be filled by Employees, and Section B by Employers. 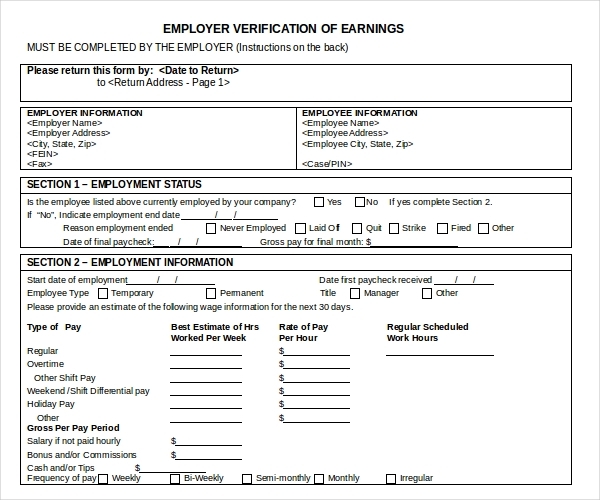 It norm for many governmental outlets to request for the submission of an Employer verification of earnings form which is used to collate employment information about an applicant. This form is a documented proof which comprises of all the employment and earnings details.